Well it’s been nearly a month! 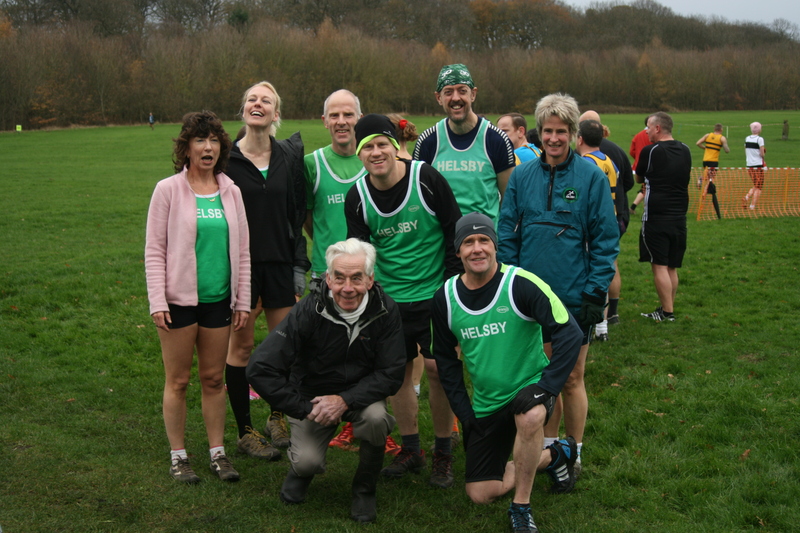 but results are now online for the Arrowe Park XC race that was Race 3 in the Northwest XC series held on 4th December 2011. After having slept a couple of times since the race I will have to apologise for a limited report, however, I can remember some great Helsby performances, a little bit of mud and a few spots of rain held under a sky the colour of concrete. Ian Landucci stormed round for the men in 1st place for the Helsby contingent and 28th place overall ably followed by Roy Gaskill who ran admirably well considering it was his first foray into cross country. However, it is with the Helsby ladies where some significant improvements were spotted with Jayne leading home the charge for an amazing 5th place overall, with Vanessa chasing hard behind for a great 13th and Rachel just behind in 18th which meant all the Helsby ladies finished in the first half of the field. The ladies team is currently in joint 2nd place with all to play for! Well done. The next race in this series is Town Park, Runcorn on 15th January. It will be great to have some strong teams for what is a local race. This entry was posted in Uncategorized and tagged arrowe park results, cross country, northwest, xc. Bookmark the permalink.